Priya Anand feels that Kayamkulam Kochunni got much bigger with Mohanlal joining the cast. Set in the 19th century, the period drama will narrate the story of highway-thief Kayamkulam Kochunni and his Robin Hood-like adventures, played by Nivin Pauly. 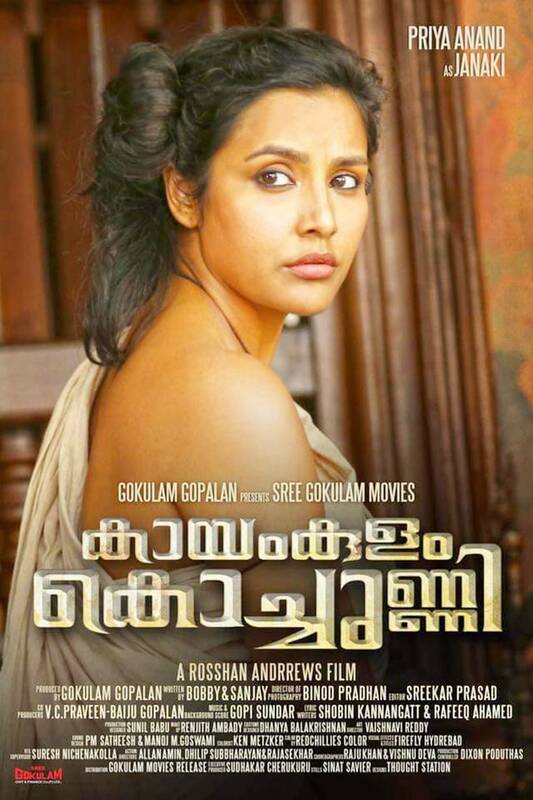 Kayamkulam Kochunni star Priya Anand says that learning a new language has never been a problem for her. Born to a Tamilian mother and half-Telugu and half-Maharashtrian father, and having moved around India during childhood, actor Priya Anand says that learning a new language has never really been a problem for her. While she is yet to pick up Malayalam, the actor says that she understands it without the help of a translator. “The only challenge I have with Malayalam is there are so many different dialects. It is taking time because each person’s accent is so different. I have gotten to a point where I understand when people speak but I am not yet having conversations in Malayalam,” she says. Priya Anand, however, memorized all her lines because the movie was shot on sync sound. “And also other actors can’t perform when they are not hearing the lines,” she reasons. She is now really excited to see how the audience will appreciate her performance in Kayamkulam Kochunni, which is her second outing in Malayalam after last year’s horror film Ezra. “I always wanted to be part of a period film. And to get to be part of something that is so authentic and true is so exciting,” she adds. Priya Anand was roped in to replace Amala Paul who opted out of the film citing scheduling problem. “Love is the driving force in a lot of stories. In the same way, a lot of what Kochunni does has to do with Janaki,” she says, adding that it will not be a run-of-the-mill love story. Set in the 19th century, the film will narrate the story of legendary 19th century highway-thief Kayamkulam Kochunni. He was known for stealing from the haves and giving it to the have-nots. The film will narrate Kochunni’s Robin Hood-like adventures and also focus on other details in his life that inspired him to do things he did.